This style is very popular for its simple elegance, similar in style to our Bond St and New Bond St designs with elegant plate sinking. Here it is reinterpreted with White hot foil print on a striking Fuschia board. Many other colours are avaiable. 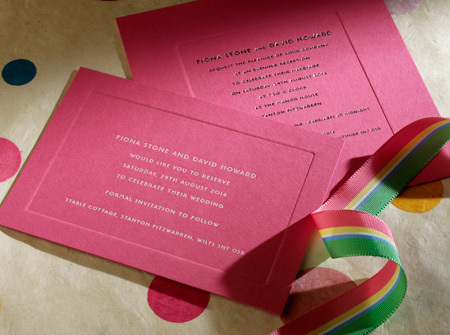 The standard wedding invitation is foil-blocked on heavy weight plate-sunk Colorplan Fuchsia, single 6×6″ size. The cards come with white envelopes (unlined). 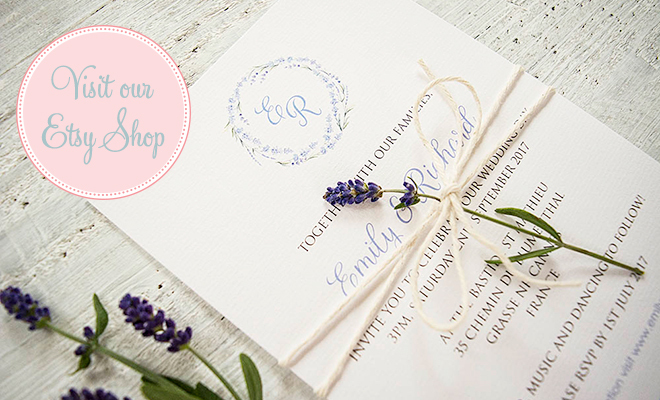 The invitation can be adapted to your preferred style and you have the option to alter: size, ink colour, print style and font, card type, add gilt edging or lined envelopes.